It’s been almost two years since we left our duty station in Aviano, Italy, and I still miss it pretty much every single day. Living some place like that will be hard to forget. I’ve been meaning to write something similar to this post since we left in order to hopefully help others in the same (figurative) boat. I remember the hardships and many, many headaches of PCSing out to our OCONUS station, but I also remember how drastically different (and easier!!) it was to PCS back to America. 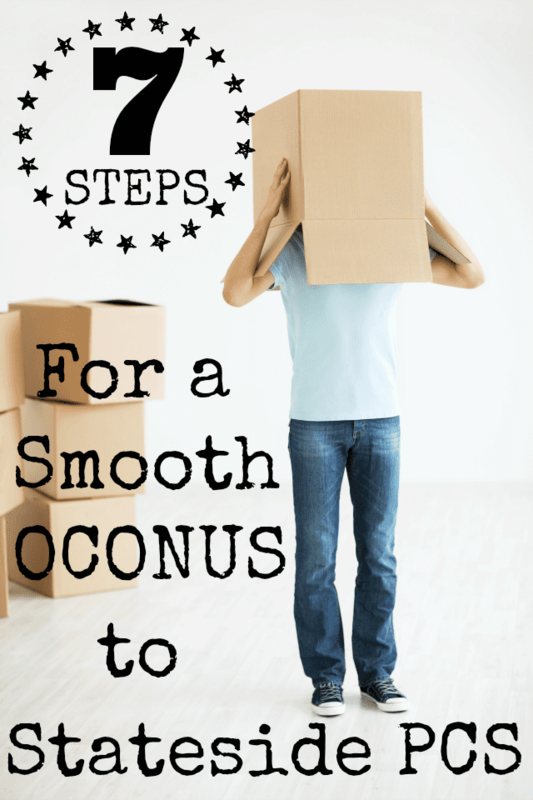 Follow the tips on this list for a (hopefully) smooth OCONUS to Stateside PCS. The transition back to America doesn’t have to be hard! First and foremost, invest in a handy dandy planner that has a section for notes and start making lists. The purpose of a planner as opposed to a notebook is so that you can use the calender portion to jot down the many, many, dates that are about to come your way. If you weren’t a list-maker before a PCS, this may just turn you into one. What lists can you make? How about: things to pack in your suitcases, things to sell before you leave, places you still want to visit, etc. One of the many lists you can make is for what you want to pack in your Unaccompanied Baggage (commonly referred to as your “thousand pound” shipment), and what (if anything) you want to ship back via USPS so it’ll arrive to your destination sooner. 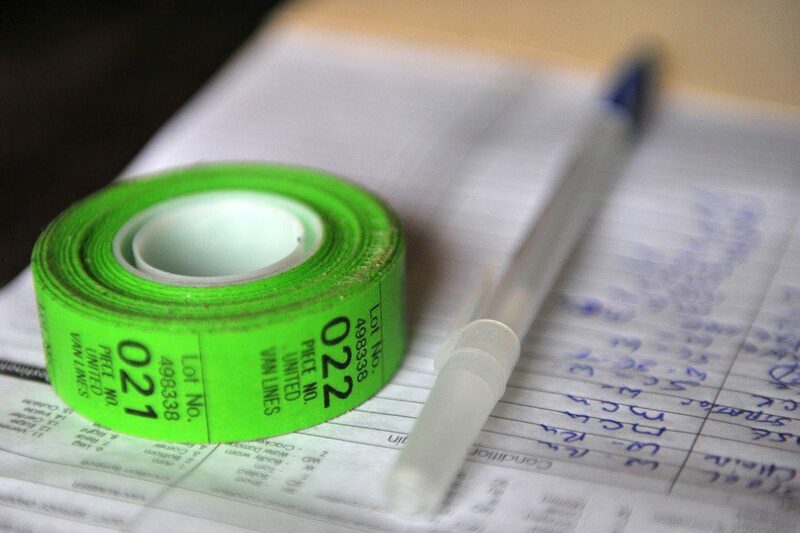 Extra tip: save those receipts, because you can claim them towards your HHG total pounds! While you’re buying your notebook, also purchase something to keep all of your very important documents with you. This particular binder has been with us through two moves. I love it because it zips up, ensuring everything will be kept safe inside. Inside of it we kept anything we really didn’t want lost or misplaced during the move (passports, PCS orders, wedding certificate, birth certificate, social security cards, copies of everything, car information, etc.). I also put all of our travel information in there, so I could easily pull it out for each leg of our trip. Having everything in one central location helped things run smoothly. I kept that binder as close to me as possible during the move (always in my purse or in my carry-on suitcase). In the #military and PCSing back to America? Here are some tips for a smooth transition! Believe it or not, figuring out how to bring our dog back to America was one of the most challenging aspects of our PCS. My number one piece of advice regarding pets is to start early! If you’re flying on the military rotator (or most airlines, for that matter), they have cut-off dates for when they’ll stop allowing animals to ride in the cargo bay. It changes with each airline, but it’s usually when it gets too warm outside (summer months), because it gets too hot on the tarmac. The problem is that those summer months is peak PCS season—yikes—so you need to get a jump on figuring out your pet situation sooner rather than later! For more information on sending your pet home from specifically from Italy, click here. The military will ship one vehicle home for you, but you need to take the shipping duration into consideration. Would you rather be without a car for 6+ weeks at your OCONUS station or in America? I know several people in Europe who actually purchase new cars overseas, because the manufacturer will send the new car back as part of the deal (BMW, Volkswagon, etc. ), or some will purchase a vehicle overseas and pick it up the day they arrive in America, and then they pick up the car they shipped back whenever it comes in. (We did the latter idea.) On the flip side, renting a car in the USA is much, much cheaper than renting one overseas, so another option would be to hang on to your vehicle and then send it back at the last minute, and just plan on renting or borrowing a car from someone when you arrive at your destination. As an American, and if you’ve lived in the United States, you may think that you can just jump right back into the grind when you get back. And maybe you can…but you may not. It took a good six months for me to get adjusted to my new culture when we moved to Italy, so I was shocked that it took just as long (though not as intense) to become familiar with my home country. You may find yourself confused and overwhelmed at the most random times (it happened in the laundry detergent aisle for me), and that’s completely normal. Knowing ahead of time that you may experience this can help the anxiety that comes along with it when/if it actually happens. Before we left Italy we cancelled our Italian cell service, which meant we were disconnected from the world for a couple days until we made it into a phone store to re-activate and get new phones/accounts. It was a headache and totally not something we wanted to do on our first day back (hello, I’d rather be at Target!). Enter Defense Mobile, a 4G LTE mobile service exclusively for Veterans, military members and their families. It runs on the nation’s largest and most reliable networks, and you can even get and use smartphones (iPhones, Galaxy, etc) from them. Since Defense Mobile runs on multiple networks, this is perfect for when you PCS stateside (or go TDY or retire), because you never have to switch carriers! They’re completely staffed by vets, and their mission—on top of wanting to help connect and improve the lives of Veterans—is to donate 10 percent of its net profits to military and Veteran causes. Plus, you can try it risk free for 30 days, and if you’re not 100 percent satisfied, you get your money back. Speaking of money, check out these offers: Sign up now and get 25% off three months of service. All you have to do is visit Defense Mobile, purchase a new SIM card or a new device and a plan, and enter the promo code SIM25 at checkout! OR get a free Moto G if you purchase a data plan of at least 3 GB (Delta plan or higher). Use the promo code MOTOG at checkout. Easy peasy! Living overseas could be a once in a lifetime opportunity, so seize it as much as you can. Use the weekdays to get organized and work on PCS stuff, but take advantage of as many weekends (and leave days) as you have left in your country. Take day trips, hop a flight, or shoot, go on a cruise if you have the time. Just get out there and travel to places you’ve never been before or return to your favorite destinations. Check in with your local ITT on base and see what trips they have—it’s a great way to see places without spending a lot of time, money, or energy planning it. You have enough on your plate, so let someone else do the planning for you! Have you been there and done that when it comes to PCSing back to America? I’d love to hear your top tips to help others in the same boat! This post couldn't come at a better time! Cass just got his assignment and we're gearing up for the big move back to the US. I think we're going to do what you guys did with the car situation. We're ready for a second vehicle and it seems like a good time to get it. My wife and I have been in Bahrain about ten years. She just got transfered to Japan. The car she was driving in Bahrain could not be shipped to Japan or America. Our other car here in Bahrain is a 2000 Bentley Arnage. I was going to ship that back to America for her to drive when she goes back. The VIC’S office here is not sure it can be shipped back or not, because it does not have the car spedification plates on the door or under the hood. Someone told me a classic car does not have certain rules that apply for shipping????? Who knows????? Any information on how to find out???? Hi there! I just ran across your blog as we are getting ready to move back to the states after 15 years overseas! (Okinawa, England, and currently in Germany) There are so many posts about moving overseas, but not very many about moving back and all you have to deal with. I am quite frankly terrified of living back in the states and how different it is going to be for us. I saw it took you six months to become readjusted back; I can only guess it is going to take us much longer. We have been fortunately so far in the military life. Thanks for writing!